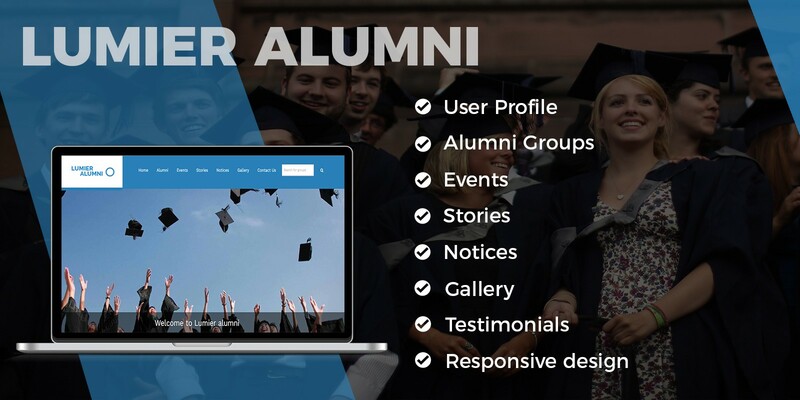 Alumni application is an online community platform of graduates or, more broadly, of former students (alumni). In our lumier alumni application,we are giving a platform to user for group creation and its further management. 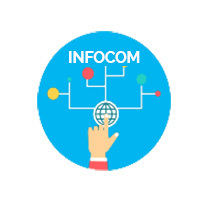 Likewise user can send request to desired group and if the group admin accepts alumnus will becomes the part of the group. Then the alumnus can post interesting stories to the group and get aware of events added by the group admin. Even after the graduation, you will have a long-term relationship with the old colleagues. Dashboard : - Quick view for total number of Groups , Users , Messages, Events, Stories etc . Group Management : - Super admin can manage group approval . 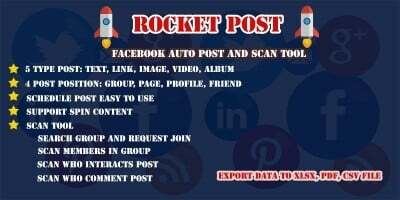 If the group is reject by admin then user cannot send the group request.Edit,delete and block the members of that groups also available in super admin panel. User Management : - List, edit, delete and block the user details . Event Management : - List, edit, delete and block event. Stories : - List, edit, delete and block story details . Notices/Announcements : - Add, edit, delete, block and list notices/announcements. Messages : - Inbox for messages. 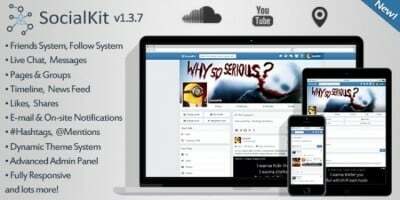 Settings :For changing Title, logo, banner, name, social media links, contact details etc. 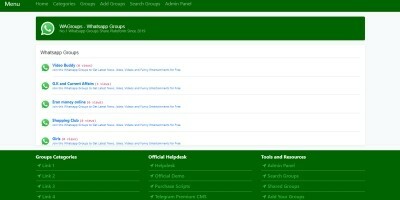 Group admin can create new groups. Group admin have all privileges to manage group. Admin can Approve or reject the group member join requests . When the user creates a new group that user will become a group admin of that group. Admin can delete as well as block the user . Admin can add , edit , delete the events . Admin can add , edit , delete the stories . Can add , block , delete the images . Admin can add , edit , delete and also block the notices . Add new group wise or public stories . Group wise stories available only for group members. Create group and if the a super admin approves the group, alumnus becomes the group's admin. User can send the join request if the admin confirm that request user become a member of that group . 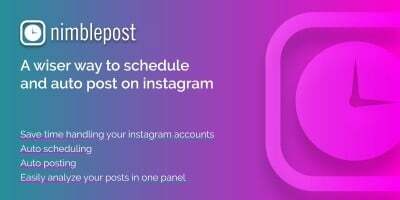 Change the profile visibility of their account. All the important instructions have been given in the documentation file and more details added in zip file. Please refer 'README' folder.